What does Pope Francis' stance on sexual orientation mean for the church? 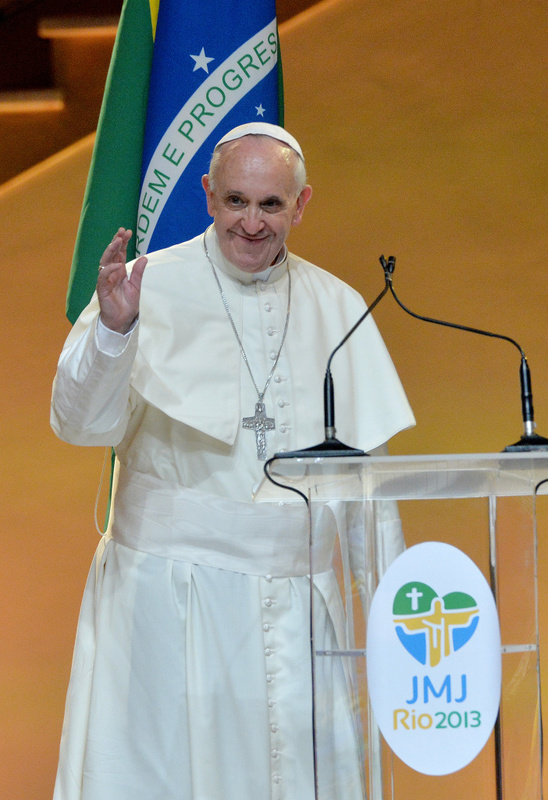 Pope Francis greets the audience during the welcoming ceremony at the Guanabara Palace, seat of the city's government, in Rio de Janeiro, on July 22, 2013. On a plane ride home to Vatican City from his recent trip to Brazil, Pope Francis held an 80 minute news conference. During that conversation, he said he would not judge priests for their sexual orientation. He is quoted as saying, "If someone is gay and he searches for the Lord and has good will, who am I to judge?" For more on the context and significance of the pope's remarks, we turned to Diane Winston, Knight Chair in media and religion at USC's Annenberg school for Communication and Journalism.